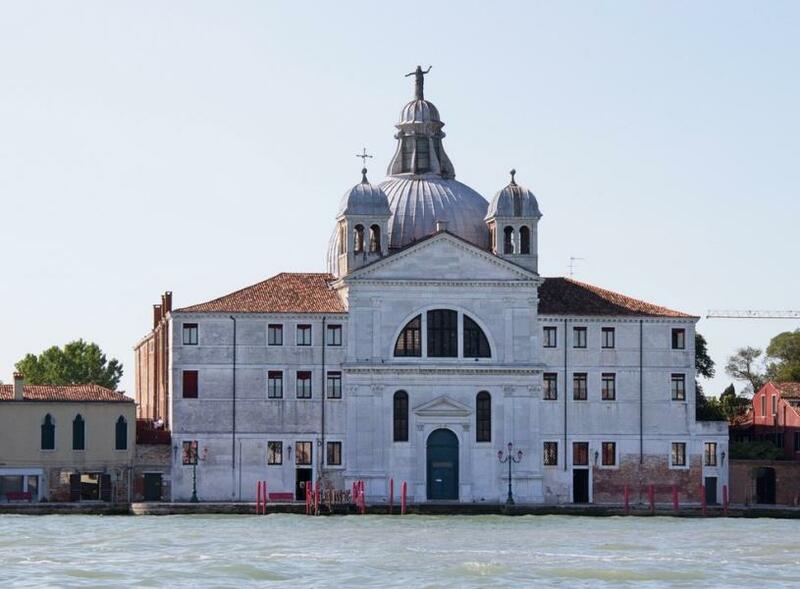 At the eastern end of the island, near the Cipriani hotel, is the church of Le Zitelle (‘the old maids’, but officially known as Santa Maria delle Presentazione, or Santa Maria delle Zitelle) was built by Jacopo Bozzetto from 1581-88 to Palladio’s design after his death. The spinsters in question were poor, young girls between the ages of 12 and 18 who were so beautiful there were fears they would be tempted into prostitution. A group of Venetian noblewoman founded a hostel for them, where they were taught to support themselves by playing music, if they were gifted, or making Venice’s most rarefied, delicate lace, punto in aria. Once they turned 18, they were given the option of becoming nuns or marriage: a suitable husband and dowry would be found. Inside, the Zitelle is built on a square plan with rounded corners for better acoustics; along with the residents, the girls from La Pietà would perform here. The best of the art is by Palma Giovane; the convent buildings on either side of the church now belong to a 50-room luxury hotel, the Palladio. The neo-Venetian Gothic house with the large arched windows, which you can’t help but notice to the right of the Zitelle, was built in 1910 as a studio by a painter named Mario de Maria. Another artist named Michelangelo spent a few months in a nearby villa, sulking during his exile from Medici-ruled Florence in 1529. Elton John has a house nearby as well.